All products are designed to provide 24-hour access, even when the host is away. They work with our igloohome mobile app, which allows hosts to grant access to guests remotely. Sync your BookingSync calendar with the igloohome app so that your guests automatically receive the PIN code according to the duration of their stay via email. The igloohome Smart Keybox is the world's first smart lockbox that works offline. • Keys or keycards are stored inside the Keybox for guests to retrieve when they arrive at the property. • The Keybox can be unlocked via PIN code, which can be generated by the host via mobile app/BookingSync app from anywhere in the world.  Hosts can select the duration for which the PIN code is valid for. This means that hosts no longer need to arrange for meet-ups to hand the keys over to their guests. This saves time and effort, and makes it much more convenient for check-in in the wee hours of the morning. • No internet is required for the Keybox, which makes it great for homes with weak/no wifi. No more worries about connectivity issues or wifi hacking. • No installation is required - you can easily secure the Keybox onto firm structures such as railings or door handles. igloohome can integrate a BookingSync host’s calendar with their igloohome account, so that generation of PIN codes for guests can be automated. The Keybox is available for shipping worldwide. For the hosts who wish to go keyless entirely, the igloohome Smart Deadbolt 2S and Mortise (available in selected countries) are perfect for you. There are multiple modes of entry - PIN code, bluetooth key, keycard/keytags (for Mortise only), and physical key. Our smart locks work with the same igloohome app as the Keybox, which allows you to create PIN codes remotely and send them to your guests. We do ship igloohome smart locks to other countries if there is a bulk order. Please contact us at info@igloohome.co for a quote. 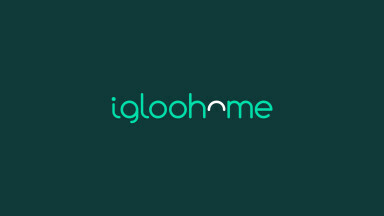 Find out more about igloohome and our products on our website (click 'SHOP NOW' button on the right), or feel free to email us at info@igloohome.co.